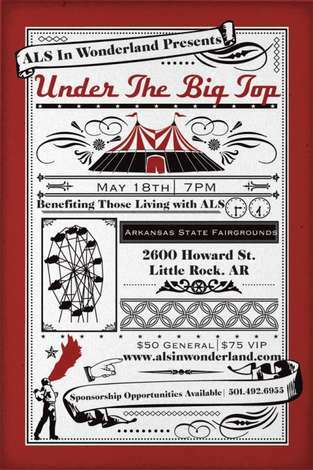 Join us on May 18th for a night of Magic, Fashion, Art & ALS Awareness. Enter into a magical world of flowing champagne, greet the Mad Hatters to pick a uniquely designed top hat, feast on delectable edibles, hear live musical sounds, and prepare yourself to experience a vintage circus like no other. Mad Hatter Designed Top Hats, Art & Fashion Silent Auction, Caricature Artist, Chair Massage, Live Band, Photo Studio, Raffle & Circus Acts!